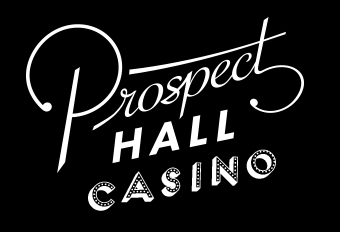 Welcome to our detailed Prospect Hall Casino Review. Here we explain our Prospect Hall ratings 2018 in more detail, beginning with some background details about the company behind the site. The site is owned and managed by the Betable Ltd group. This company has had a presence online since 2009, so there is a decent level in experience in offering a decent gambling experience. Prospect Hall may be new to the online gambling sector, its sister companies have been around for a while. The site is currently licensed by Aldernay and the UK Gaming Commission and, as of time of writing this Prospect Hall casino review, there are no major complaints lodged against the site. Indeed, a lot of the reviews by customers are highly positive about their experience with this online casino. The site is stylish and sleek and certainly markets itself at the high-end user. There is none of the normal razzamatazz of a casino that wants to attract fun users. However, and here is one of the major problems with the site, there is a £1million limit on winnings each year. Woah, you say, surely this is fine – who would expect to win more than this? Well, the pooled jackpots on the site can exceed this jackpot by a lot and it is difficult to know how the site squares this circle, as they keep their terms and conditions well-hidden on the website. However, on a more positive note, the customer service is excellent, as customer reviews comment. They are responsive and professional in responses, clearly putting the experience of the user as their primary concern. What surprises us is that the site is so focused on the UK market that it only offers GBP and tends to expect the user to be proficient in English. Only the general focus on the UK market makes some sense, as the restricted countries include the US and major European countries. This makes it seem pointless to offer cashier options in USD or EUR. The good news is that there are no upper deposit limits and there is a decent choice in payment options, including cheque, card and some eWallets. It is obvious but worth noting that the processing time of a cheque runs into weeks – and does seem an odd addition to the list. However, we guess it is not too dissimilar to the use of a bank transfer and maybe suggests that some of the target audience for the site is an older generation. This certainly marries with the style of the site, which is less garish than most. The site is well designed and well structured. It is compatible with all the major devices – as a mobile friendly site rather than an app. It does something well but nothing more, which is a significant conclusion in this Prospect Hall casino review. The modern expectation of casino sites is that they have thousands of different games. It is also acknowledged universally that the majority of these will be slots. Our Prospect Hall ratings 2018 give away the disappointing variety on the site. There are only about 200 games in total on the site – and over 120 of these are slots. Underwhelmed? Well, to counterbalance the disappointment it is worth noting that the site’s tech is good and the instant and live play work well – with some good variety and choice. What makes Prospect Hall worth shouting about, in our Prospect Hall casino review, is that there is some unique Prospect Hall Casino content from Betable. This means that although the number of games is relatively small, you will find some games that you will not find anywhere else. This makes it worth some investigation at least – and gives room for benefit of the doubt in our Prospect Hall ratings 2018 on experience. Before you worry that there is nothing you would like on the site, or recognise, there are some popular regulars like Reel Chaos and Twin Spin. There are also a range of baccarat, blackjack, poker, and roulette games, so you can get the full experience. The welcome bonus does change a lot with Prospect Hall casino, so it is worth checking out the site to see what the latest offer is. Currently, the site offers a £300 deposit bonus, a well as a 100 bonus spins on the slots. This is a generous welcome to the site – and obviously comes with some terms and conditions. It is spread over three deposits with a 100% matched bonus on the first and third deposit up to £100 and a 50% matched bonus up to £100. The playthrough is quite high, with up to x50 and the bonus expires after 30 days. Be aware, if you are depositing via an eWallet then you will not be able to benefit from this bonus. There are lots of other promotions, which tend to change with the time of year. These can be generous, with pooled prizes in the hundreds of thousands. What really boosts the Prospect Hall ratings 2018 is the VIP players program. This is an invite only club and requires you to be a regular and high-level player on the site. However, once invited to join you will get your dedicated account manager, your own bonuses, quicker services and hospitality events. In short, it is good to be part of the club! This is a new site that has a lot of potential. The games on offer are different enough and unique to overcome some of the disappointment at the small number of games available. We give the site the benefit of the doubt in this Prospect Hall casino review, giving the site room to grow. What is worth shouting about loud in this Prospect Hall casino review is the welcome bonus, it is generous – even if you have to playthrough the amount a lot to take any winnings from this. The customer will have to wait for the site to grow if they want true variety and choice.